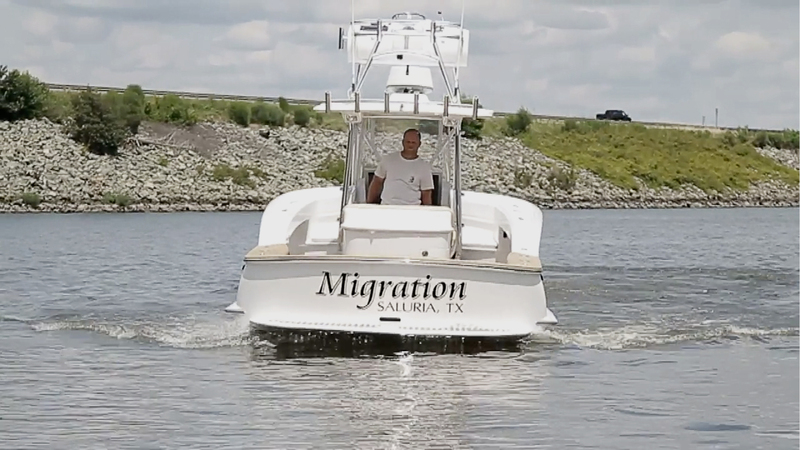 The Winter 29’ Migration was specifically built for South Texas tarpon fishing. Her top priority was to be able to troll under control at 1.5 knots as quietly as possible to target the giant Tarpon fould out of Galveston Texas. 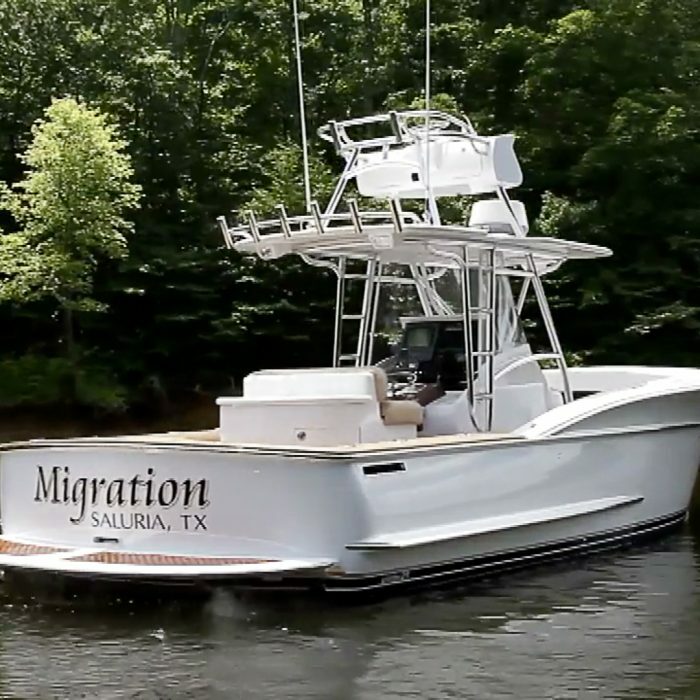 She features a cuddy cabin forward to allow overnight stays when chasing the tarpon migration. 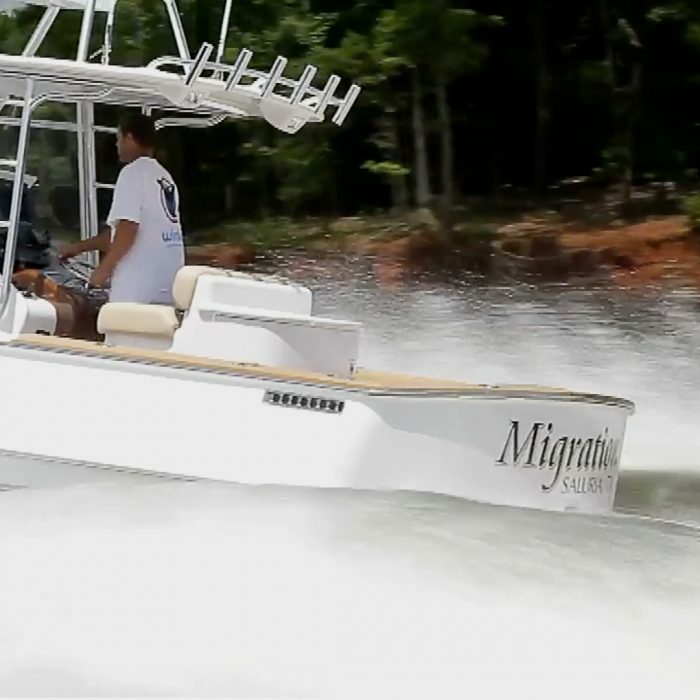 Her large console and second station with custom features make this tarpon chaser a beast on the water. 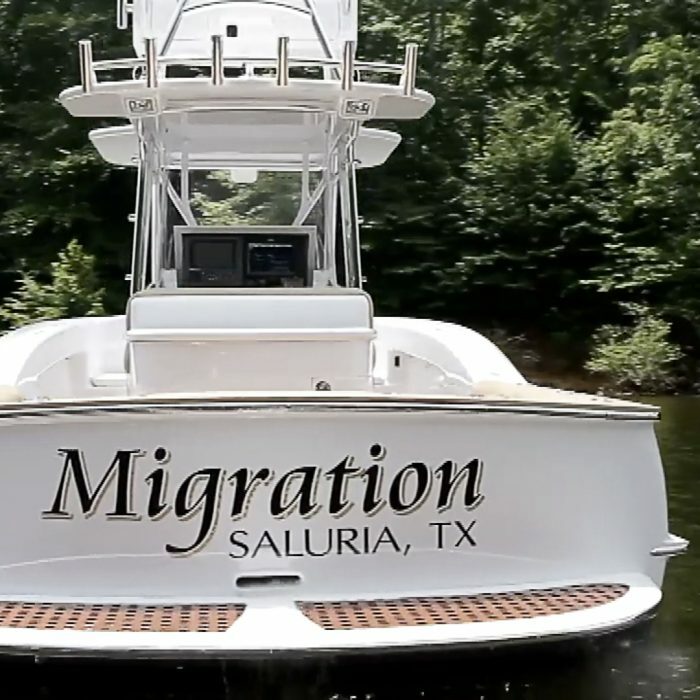 Migration was designed with the Classic Carolina hull coupled with a conventional inboard gas engine. 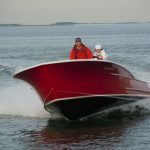 Her single 440hp engine pushes her to a top speed of 27 knots while cruising 24 knots. 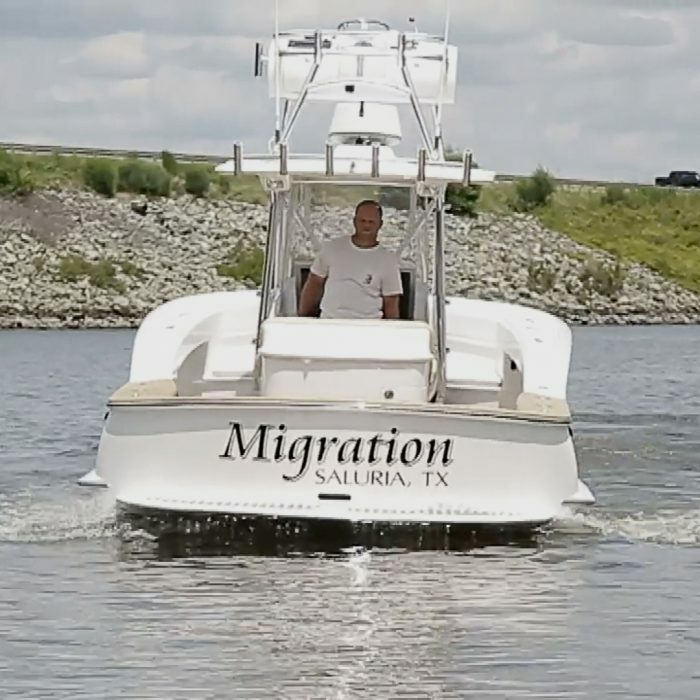 The selection of the gas engine has been the secret recipe to her success on the water. 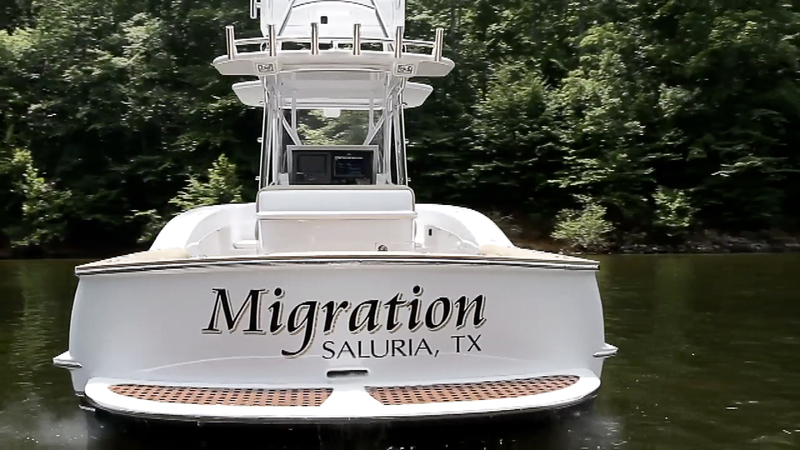 The combination of the wood hull, and quiet engine make this boat a consistent contender wherever she goes. 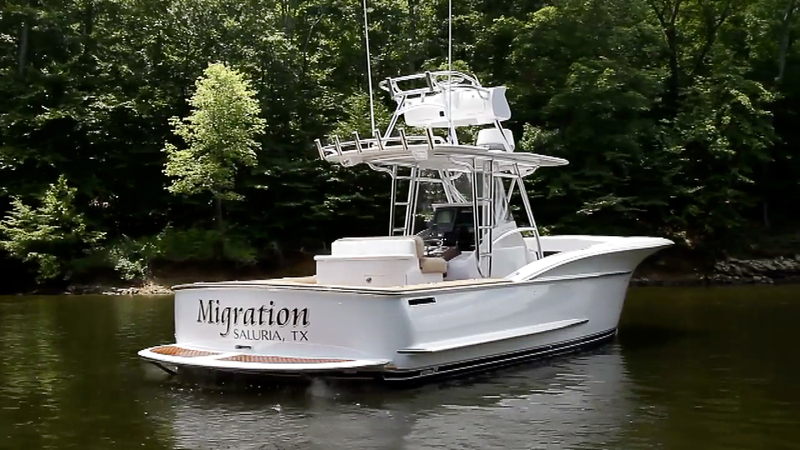 The raised bow deck above the cuddy cabin makes a great deck for casting and the oversized anchor locker allows for storage of an anchor and poly balls. 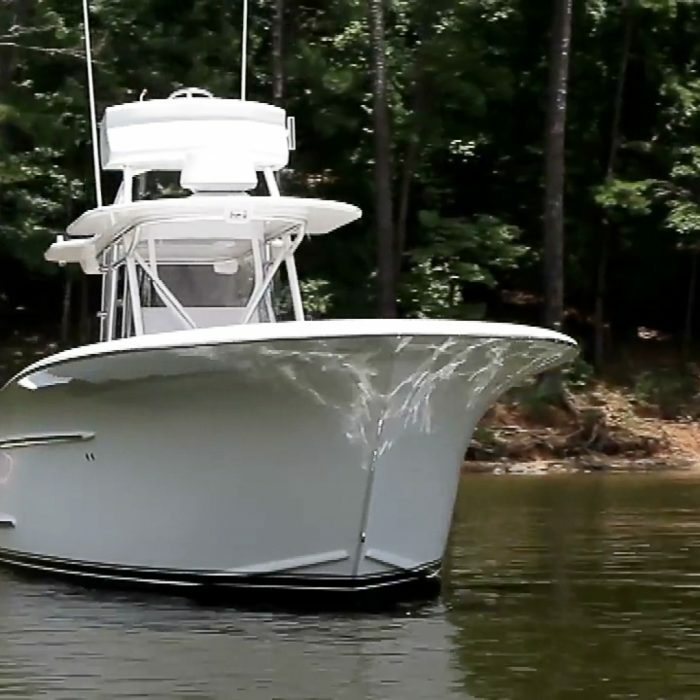 The integrated seating against the cuddy cabin bulkhead allow for additional storage and allow you to navigate on the bow deck easily while holding a rod. The console has an integrated seat on the front, and under you find an additional day hatch for day access to the engine room. For major mechanical or heavy service, the console lifts on electric actuators to reveal the entire engine compartment. The console has a teak helm pod and recessed electronics compartment. The second station is accessible through a side ladder and is perched atop the custom hardtop and pipework. The custom leaning post has an integrated drink box, trash storage, and cleaning area. The cockpit is fitted with teak covering boards and decks. 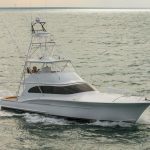 The transom has a custom WCY swim platform that allows the Tarpon to be decked and tagged for research and released back unharmed. Down below you will find access to the main electrical panel behind the satin finished cherry cabinetry. The head is found offset to starboard and the baby ostrich wall and custom linens make this interior first class.